Metal Gear Solid: Snake Eater 3D- Why Bother? Can't decide whether Konami's port is worth your time? Perhaps this will convince you. If you own or owned a PlayStation 2, odds are good you played Metal Gear Solid 3: Snake Eater. Originally released in 2004, this third entry in the critically acclaimed MGS series took players back to the 1960s, when the Cold War was alive and well. 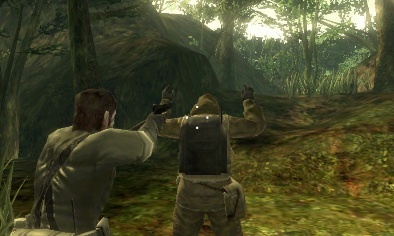 Naked Snake, the protagonist, infiltrates a Soviet jungle by stealthily taking out his enemies and surviving off the land, even going as far as to hunt, kill and eat the wildlife. On February 21, this phenomenal experience comes to Nintendo 3DS, and we already know some gamers will dismiss it as just another port. No reason to replay an eight-year-old PS2 classic, right? Wrong. Konami and Kojima Productions have gone to great lengths making sure that Snake Eater 3D not only lives up to its console counterpart, but surpasses it with a plethora of interesting features. Just a port? If that's how you feel, perhaps this will change your mind. Now you can experience this adventure in glasses free 3D. Watch as blades of grass, trees and even snakes take on a new sense of depth never before seen in previous Metal Gear Solid titles. 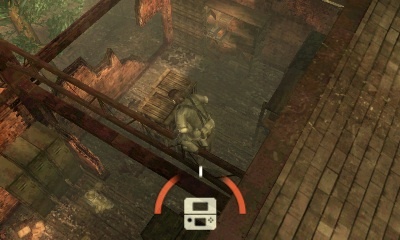 Help Snake keep his balance while walking across beams and hanging along ledges by physically tilting the 3DS. Don't let the poor guy fall. Camouflage plays a big role in Snake Eater, as Naked Snake changes outfits to blend into the game's environments. 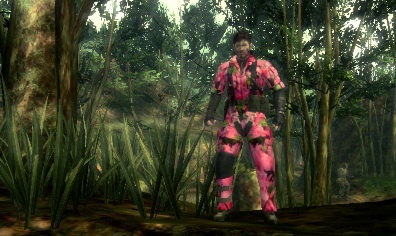 Now, using the 3DS camera, you can snap a photo and create custom camouflage using literally any pattern imaginable. Just make sure it's the same color as Snake's current location. 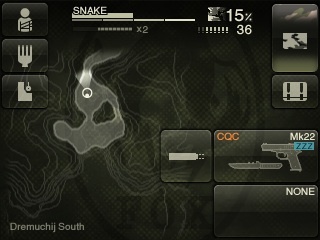 Instead of pausing the action to bring up the map and Snake's inventory, Kojima Productions displays all these things and more on the bottom screen for easy access. 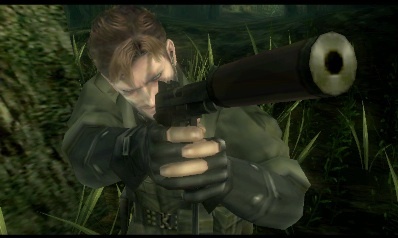 There's something to be said about opening a 3DS and playing Metal Gear Solid: Snake Eater 3D anytime, anywhere. It's a handheld port of one of the greatest titles ever made, an adventure that'll keep you entertained on long train/plane/car rides, or waiting in some horribly long line. Come on. You know you want it.